In 2011, Pemco Group completed this new 3 story Class “A” office building for Aspen Dental. The building is 45,000 square feet in total and is home to approximately 175 employees. 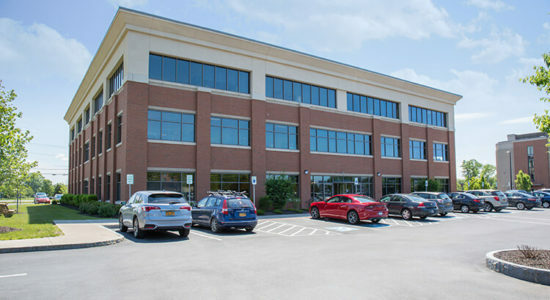 The building serves as a HUB for corporate administrative operations, employee training, and a customer call center. 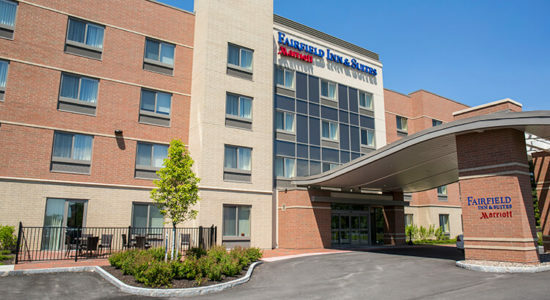 In 2016, Pemco Group completed construction of our brand new Marriott Fairfield Inn Hotel. The hotel has 4 levels and is 61,000 square feet. The 108 room leisure class hotel offers WiFi internet, cable, guest lounge, outdoor patio with fireplace, refreshment center, complimentary breakfast, board room, conference room, fitness center, and pool. Guests Suites include mini-refrigerator, microwave, television, work station and sofa. 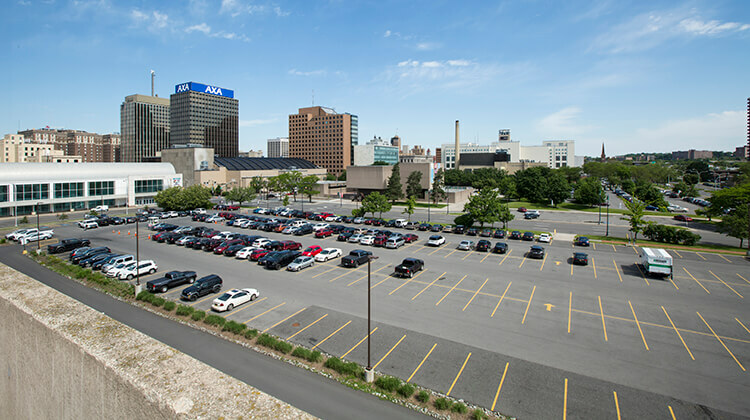 Pemco Group has been chosen by Onondaga County to develop a premier 2.59 acre downtown development site adjacent to the Syracuse OnCenter and Everson Museum. The current surface parking lot will be redeveloped as a high-density mixed-use project incorporating class-A office, ground level retail, and multifamily housing. Plentiful on-site parking will available for all tenants. Proximity to Syracuse University, Upstate University Hospital, and other nearby anchor institutions provides an appealing location for higher education and health service professionals, patrons and students. As developed, this project will provide meaningful linkages between University Hill and Downtown Syracuse and will serve as a catalyst for further private and public investment in this district. Originally built in 2006 by Pemco Group to serve as a drive-thru Starbucks, this uniquely designed building integrates an outdoor patio, drive thru lane, and an interior seating area for patrons. The Dewitt Planning Board presented Pemco Group with “The Parratt-Schick” Award of Excellence for 2006. The award was presented to reflect the high quality of design and execution for this project. 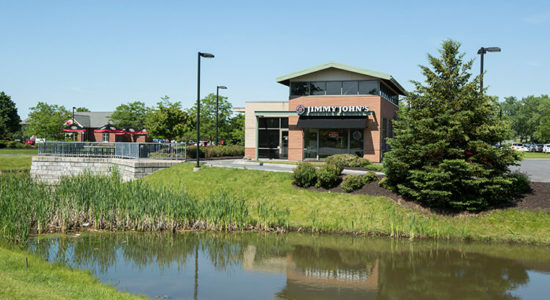 In 2013, the former Starbucks building was leased to Jimmy John’s Gourmet Sandwiches. In 2005, Pemco Group completed the construction of NBT Bank. This was the first building in the new Weighlock Park development and reflects our high standards of quality and design. This building is visible from the intersection of Route 298 and Kinne Street. 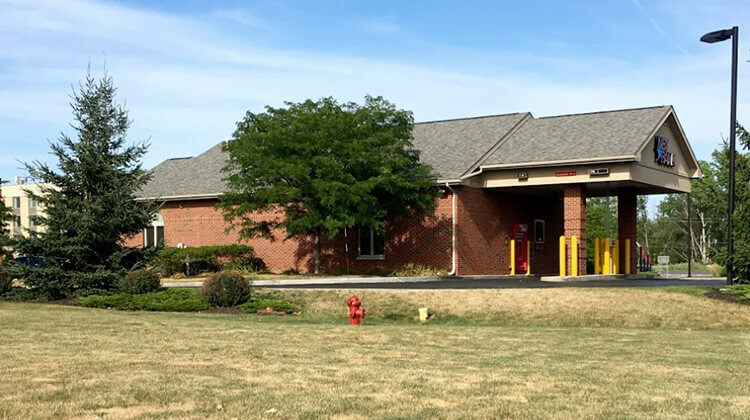 The Town of Dewitt added a stoplight for the new entrance to Weighlock Park at this intersection for added convenience to NBT Bank and the rest of the Park. 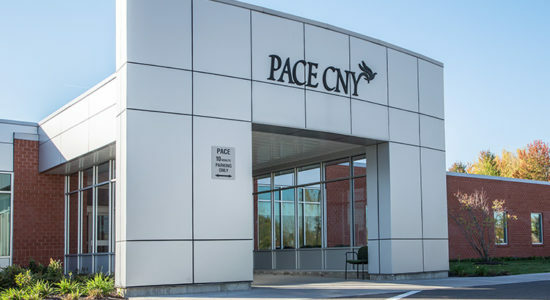 In 2015, Pemco Group completed construction of the new PACE CNY Catherine McAuliffe Health Center in East Syracuse, and since then it has been receiving rave reviews. Participants and staff appreciate the special features in the facility like the state of the art therapy room, spacious light filled day center rooms, and welcoming outdoor patio. 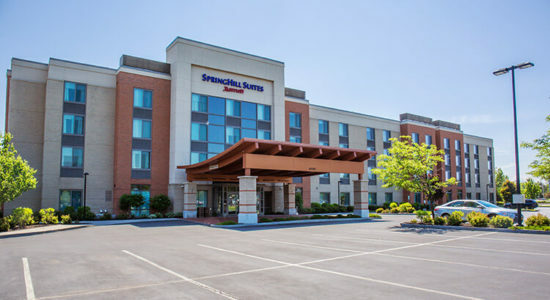 In 2010, Pemco Group completed construction of our Marriott Springhill Suites Hotel. The hotel has 4 levels and is 65,000 square feet. The 119 room business class hotel offers WiFi internet, cable, guest lounge, outdoor patio, refreshment center, complimentary breakfast, board room, fitness center, and pool. Guests Suites include mini-refrigerator, microwave, television, work station and sofa. 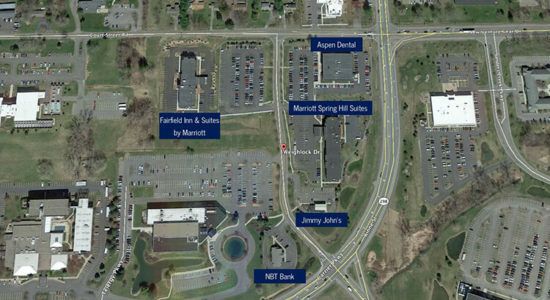 Weighlock Park is multi-use development just off of Carrier Circle in Dewitt, New York. The main entrance is at the corner of Route 298 and Kinne Street. Pemco Group completed the development of this once under-utilized vacant land into a Class “A” business and hospitality park that currently includes a Jimmy Johns Gourmet Sandwiches, NBT Bank, Aspen Dental, Marriot Spring Hill Suites, and Marriott Fairfield Inn & Suites.